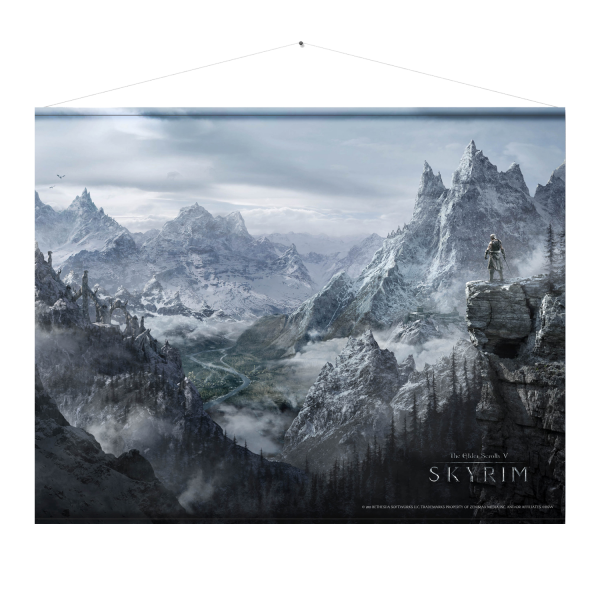 The Wallscroll "Valley" with the dimensions 100cm x 77cm shows the Dohvakiin from "The Elder Scrolls V: Skyrim" as he looks down from a cliff onto an impressive valley. Wallscrolls are the better posters: Elaborately printed polyester canvas between two aluminum rods ensures long-lasting joy without the risk of wrinkles or creases. Manufactured by Gaya Entertainment.